Caramel Cheesecake is easy to make and such a delicious decadent dessert recipe. Perfect for any occasion! Caramel Cheesecake is the new favorite dessert in our home! 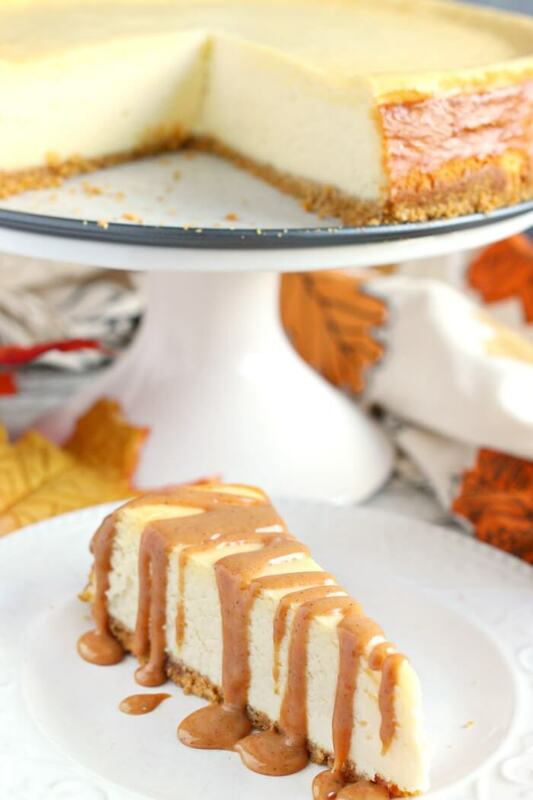 We added some pumpkin spice seasoning to the caramel sauce to make it autumn ready, but you can easily fix this Caramel Cheesecake either way. 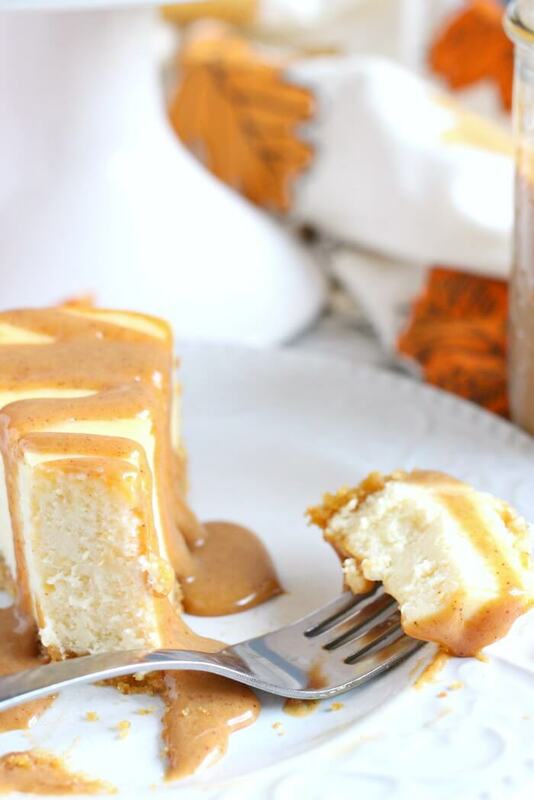 We like to enjoy Caramel Cheesecake after a holiday inspired meal with roasted turkey, mac and cheese, sweet potato casserole, and dinner rolls. This is a sponsored conversation written by Mama Loves Food on behalf of NESTLE® LA LECHERA®. The opinions and text belong to Mama Loves Food. Graham crackers – Try to get these smashed as fine as you can. It’s best to use a food processor. You can even buy them pre-crushed these days! Sugar – Regular white sugar works great. Butter – I prefer salted butter. It makes a great sweet, with a touch of salty, combo. Cream cheese – You’ll want a full fat plain cream cheese for this. Make sure you’re not getting whipped cream cheese. 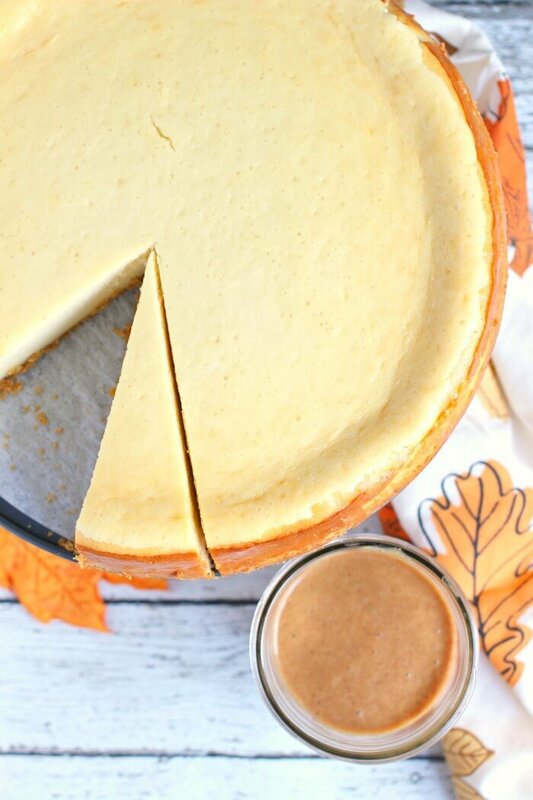 Sweetened condensed milk – We used NESTLÉ® LA LECHERA® Sweetened Condensed Milk for our cheesecake and it turned out wonderfully! Make sure to open the entire can with a can opener and scrape the insides with a spatula to get it all out. Publix also sells LA LECHERA Sweetened Condensed Milk in an 11.8 oz. squeeze bottle (check out the new packaging in stores now). So convenient! Lemon juice – just a small amount to add acidity. Vanilla extract – Use real vanilla extract for this recipe, not imitation vanilla extract. Eggs – Beat the eggs in slowly to avoid large air bubbles. 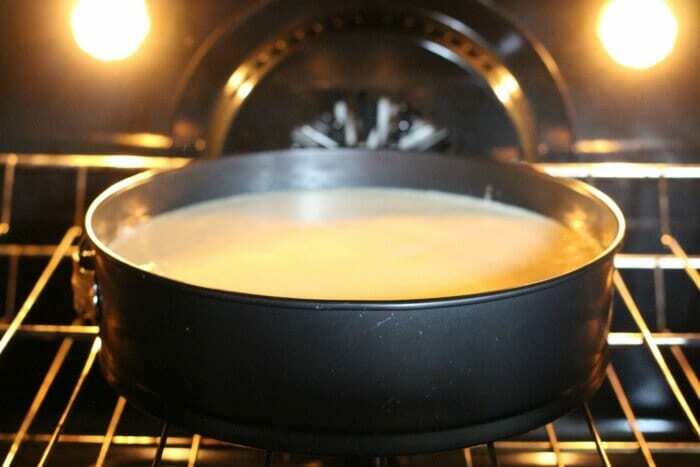 Flour – A small amount of flour will help keep your cheesecake from sinking as it cools. Sweetened condensed milk – We used LA LECHERA Sweetened Condensed Milk for the caramel sauce as well. It’s really the only ingredient you need for caramel sauce! Optional: pumpkin pie spices – If you want to spice up your caramel sauce, add some nutmeg, ginger, and cinnamon before cooking. 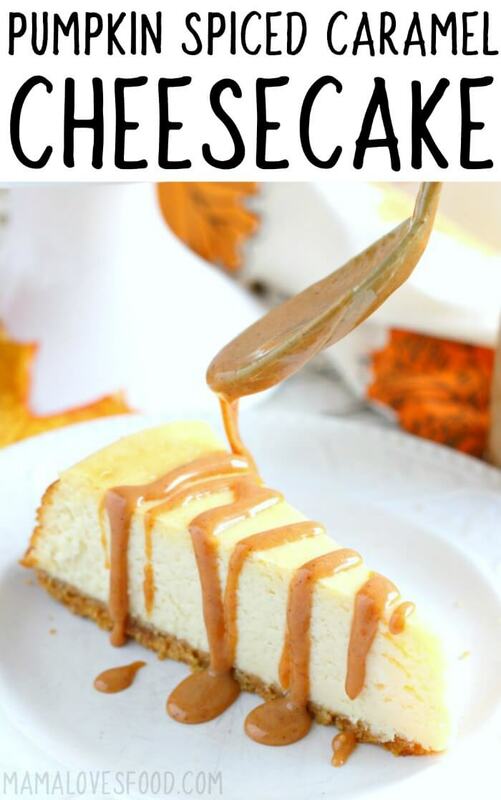 We use LA LECHERA Sweetened Condensed Milk in both the body of the cheesecake and the caramel sauce topping. If I could find a way to put it in the crust I totally would – it’s so delicious. Right now you can save $0.75 when you purchase two LA LECHERA® products at Publix now through 12/16/18! Desserts like this Caramel Cheesecake remind me of holidays growing up in a huge family. We would all gather for massive dinners with dozens of aunts and uncles and cousins. Dinner was set out buffet style in my grandmother’s kitchen and we’d all eat and hang out at the table until dessert. Dessert would replace dinner on the island and we’d all fill our plates again and then settle in for a long evening of catching up. It’s a tradition we’ve continued with our own kids and I hope they have as many fond memories when they’re adults as I do. How Do You Make a Caramel Cheesecake? First, combine crushed graham crackers, sugar, and butter and press into the bottom of a springform pan. Then, beat cream cheese, pour in LA LECHERA Sweetened Condensed Milk, lemon juice and vanilla extract. Next, add eggs one at a time, then beat in flour. Then, pour filling into pan and bake. Allow cheesecake to set at room temperature, then in the refrigerator. Finally, when cheesecake is cooled, top with caramel sauce. 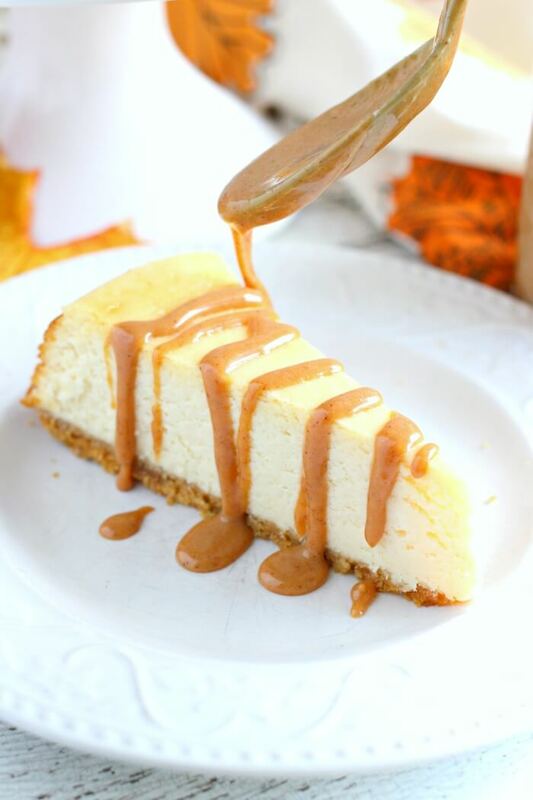 How Do You Make a Caramel Sauce for Caramel Cheesecake? 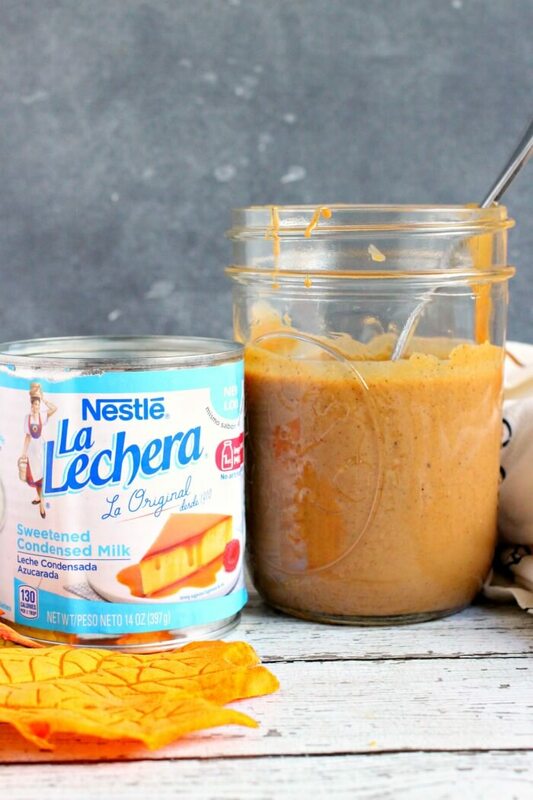 Pour LA LECHERA Sweetened Condensed Milk and spices into an oven safe bowl. Mix well if you have added spices. Add water into the inner pot of the instant pot, then place bowl with sweetened condensed milk in, too. Cook on manual, then allow for natural pressure release. Pour LA LECHERA Sweetened Condensed Milk and spices into a glass canning jar. Close lid and place jar into slow cooker. Add enough water to cover mason jars and cook on low. Close lid and place jar into a pot. Add enough water to cover mason jars and simmer on low – make sure to keep the water level so that it is covering the jars. – Allow ingredients for filling to come to room temperature before beginning. – Tap the side of your pan with a wooden spoon to release any air pockets that may have been created when mixing. 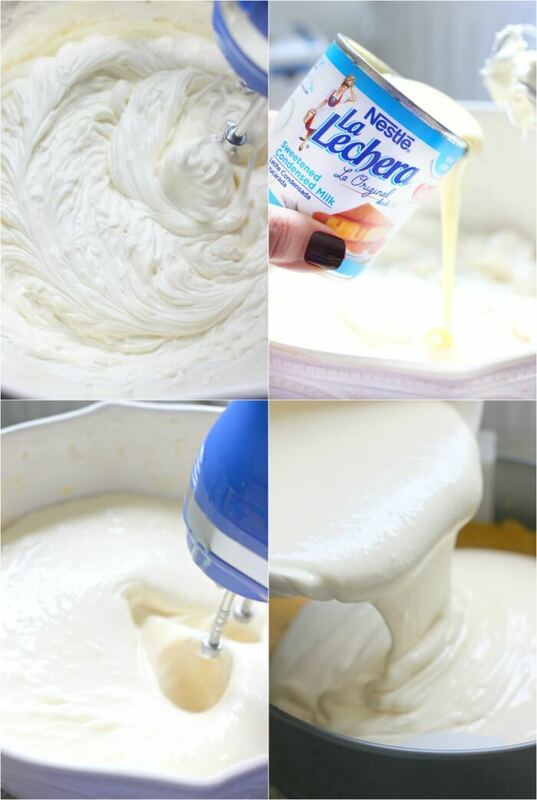 – Use LA LECHERA Sweetened Condensed Milk instead of granulated sugar for a smoother, creamier finish. – When the cheesecake is finished cooking, the center should still be a little bit wobbly. It will firm up as it cools. – Add the eggs one at a time and beat slowly to avoid creating large air bubbles in your filling. 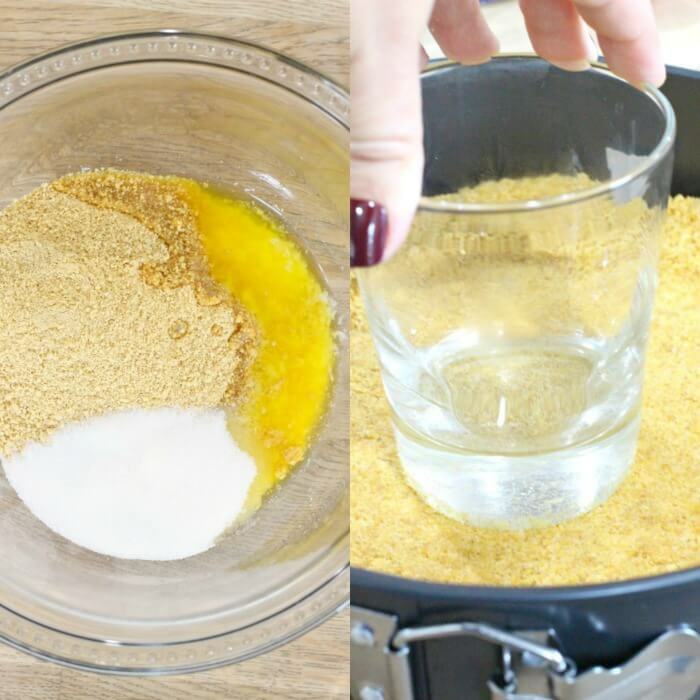 – Don’t skip the flour – it will help keep the cheesecake from sinking or falling as it cools. – To cut the perfect slice of cheesecake use a sharp smooth blade knife (not serrated) and swipe it with a small amount of vegetable oil before cutting. Slice in a single downward motion (not back and forth). How Do You Make Pumpkin Spice Flavored Caramel? 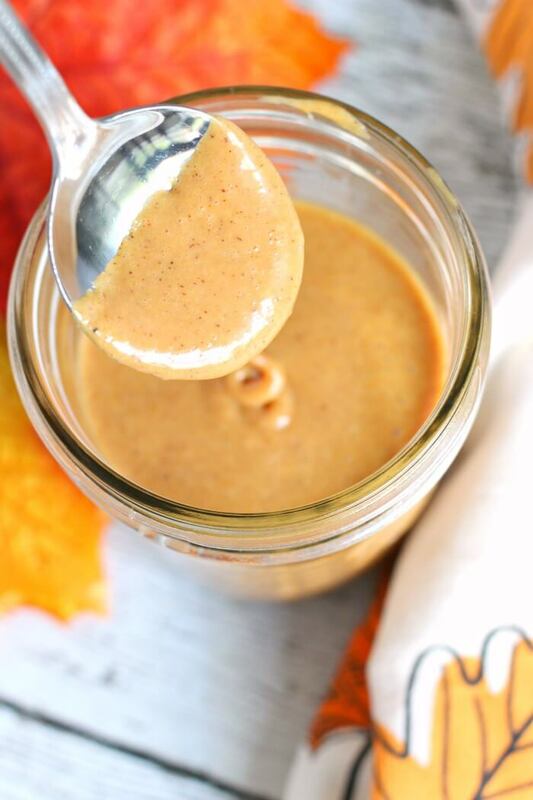 It’s so easy to make your caramel sauce pumpkin spice flavored. It’s a great way to make your Caramel Cheesecake even better! 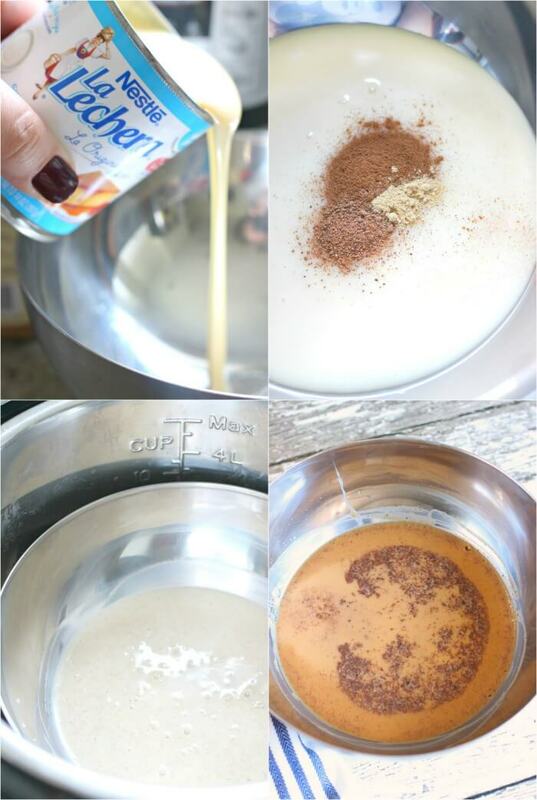 We just stir some cinnamon, nutmeg, and ginger into our LA LECHERA Sweetened Condensed Milk before cooking. By adding the spices before cooking, you allow the flavors to meld and mellow beautifully. 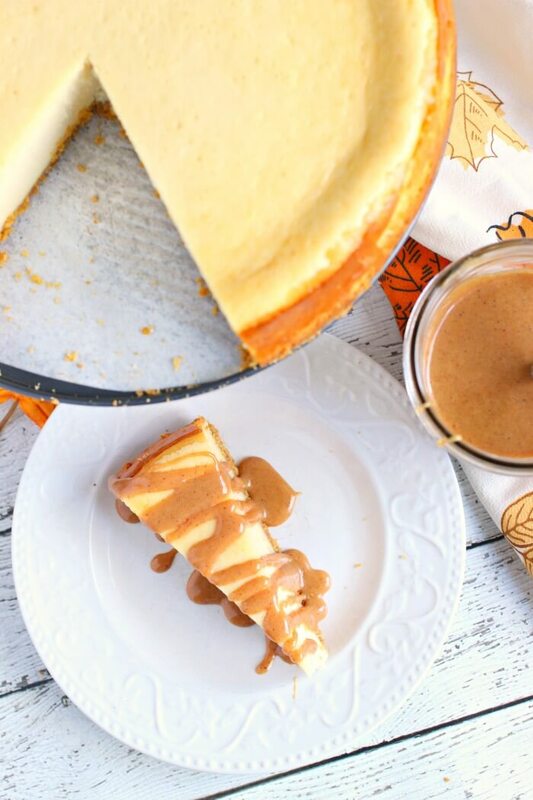 Use your Pumpkin Spice Caramel Sauce on everything from Caramel Cheesecake to Pumpkin Ice Cream, and even drizzled into your coffee! I absolutely love using sweetened condensed milk in desserts. It’s a great way to simplify recipes while also making them sweet, creamy, and delicious. In this Caramel Cheesecake recipe we use LA LECHERA Sweetened Condensed Milk in both the filling and the topping. 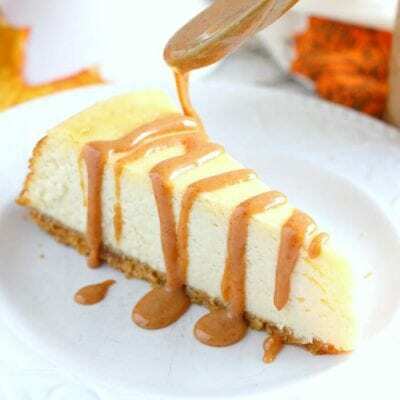 We grabbed several cans of LA LECHERA Sweetened Condensed Milk from our local Publix supermarket (you can find it in the baking aisle) along with the rest of our ingredients for the Caramel Cheesecake. The holidays are coming up, so you know we’ll go through a lot! Will you be making this Caramel Cheesecake? 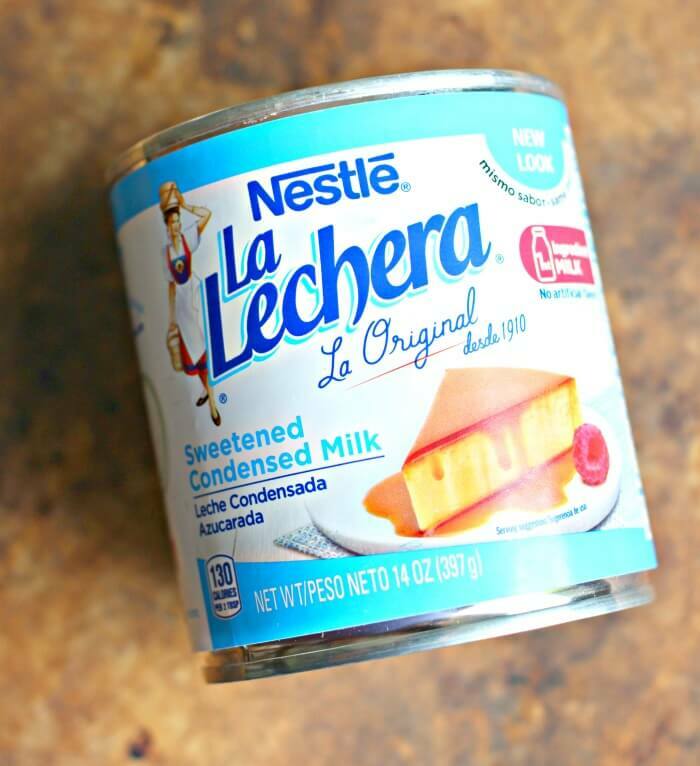 Are there recipes you love to make with LA LECHERA Sweetened Condensed Milk? We’d love to hear about them in the comments section below! Springform pan – We use a 9 inch springform pan for this recipe. If you want to be able to remove your cheesecake from the pan, a springform is your best bet. Spatula – These ingredients are ooey gooey and sticky. You for sure want to be using a spatula to make sure you’re properly measuring and using all your ingredients. Electric mixer – You’ll want an electric mixer for beating the filling to the proper consistency. Parchment paper – If you want to get your cheesecake off the bottom of your springform pan, definitely line it with a circle of parchment paper! Instant Pot – The Instant Pot is my favorite way to make caramel sauce with sweetened condensed milk. It comes out so great! Stainless steel bowl – I like to use a stainless steel bowl in my Instant Pot for making the caramel sauce to put over our Caramel Cheesecake! Glass mason jars – If you don’t use an Instant Pot to make your caramel sauce, then you’ll want to use a glass mason jar. Combine crushed graham crackers, sugar, and butter until mixed well. Press into the bottom of a parchment lined 9 inch springform pan. I find that using the bottom of a flat glass works well to get the crust pressed in tightly. In a large bowl, with an electric mixer, beat cream cheese until fluffier and increased in volume slightly. Slowly pour in sweetened condensed milk while continuing to mix. Beat in lemon juice and vanilla extract. Reduce mixer speed to low and add eggs one at a time. Do not beat quickly as this will create air bubbles in the cheesecake mixture. Lastly, beat in flour. Pour filling into springform pan and bake on center oven rack at 300 Fahrenheit degrees for 70 - 75 minutes. Center should still wiggle slightly when cheesecake is finished. It will firm up as it sets. Allow cheesecake to set at room temperature for one hour, then in the refrigerator for at least three hours. When cheesecake is completely cooled, top with caramel sauce. Either pour over the entire cake or drizzle on individual pieces depending on how you prefer to serve. Instant Pot (my preferred method): Pour sweetened condensed milk and spices into an oven safe bowl that will fit into the interior pot of your pressure cooker (I used a small stainless steel bowl). Mix well if you have added spices. Pour 2 cups of water into the inner pot of the instant pot, then place bowl with sweetened condensed milk in too. Set to manual for 45 minutes, then allow to natural pressure release. Blend with an immersion blender (or in your upright blender) until smooth. Slow cooker: Pour sweetened condensed milk and spices into a glass canning jar. Mix well if you have added spices. Close tightly with a canning jar lid (not a plastic lid!). Place jar(s) with sweetened condensed milk into slow cooker. Pour enough water to cover mason jars. Place lid on slow cooker and cook on LOW for 8 to 10 hours. (My preference is 8 hours for a lighter more pourable caramel sauce). If you have lumps, blend with an immersion blender (or in your upright blender) until smooth. Stove top: Pour sweetened condensed milk and spices into a glass canning jar. Mix well if you have added spices. Close tightly with a canning jar lid (not a plastic lid!). Place jar(s) with sweetened condensed milk into a pot. Pour enough water to cover mason jars. Place lid on pot and simmer on LOW for about 90 minutes. Make sure to keep the water level so that it is covering the jars - check this frequently. If you have lumps, blend with an immersion blender (or in your upright blender) until smooth. This recipe works best if the filling ingredients are brought to room temperature before beginning. If pressed for time, simply use Leche Quemada instead of making the caramel sauce. What a beautiful cheesecake that is just perfect for a special get-together! I just love that caramel drizzle! Creamy cheesecake is my absolute favorite dessert and what a tasty addition with the caramel sauce. Thank you for including a variety of ways to bake this. I just got an Instant Pot, so I’ll be trying that method right away.